Gone are the days when biker jackets were associated with riders alone. Today, you can rock your biker jacket as part of an official or a casual look. In 2018, the biker jacket trend has come to the fore with a number of prominent personalities captured rocking the style to events. Many men haven’t been known to embrace the fashion side of life. However, with biker jackets, it has come to the fore. 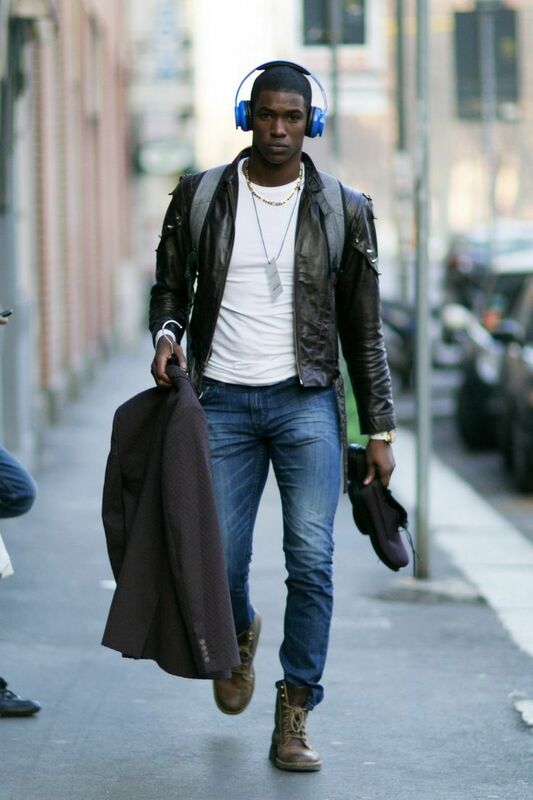 No matter how you rock your biker jacket, you will be likely to come out looking trendy and flashy. Do you want to have that all too casual look with your biker jacket? You can pair it with a pair of jeans, a t-shirt and a pair of boots. You can also accessorize it with a bracelet and a watch to make them look classic. So, it is casual-Friday in the office, and you want to have that official look mixed with a casual trend. You can rock your biker jacket by pairing it with some official trousers and a semi-official shirt. To make the look less serious, you can wear rubber shoes or rugged boots. When you hear the term official, you may think that you only have to wear a suit of something that is more official. However, you don’t have to wear a full suit to have that official look. 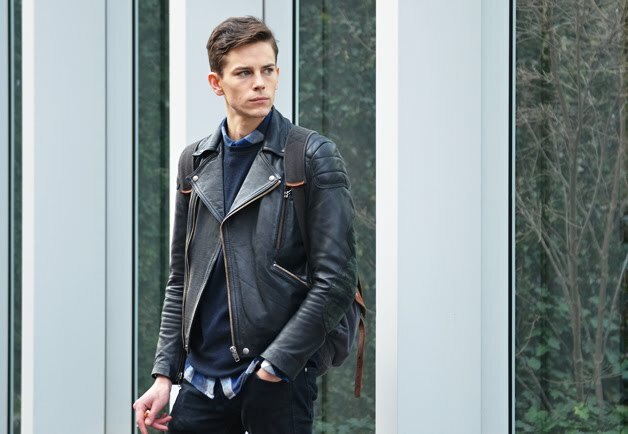 With your biker jacket, you can also pull off that official look. When you want to pull off that official look with your biker jacket, you can pair it with official pants, an official shirt, a tie, and official shoes. You will stand out and make a bold statement with this look. 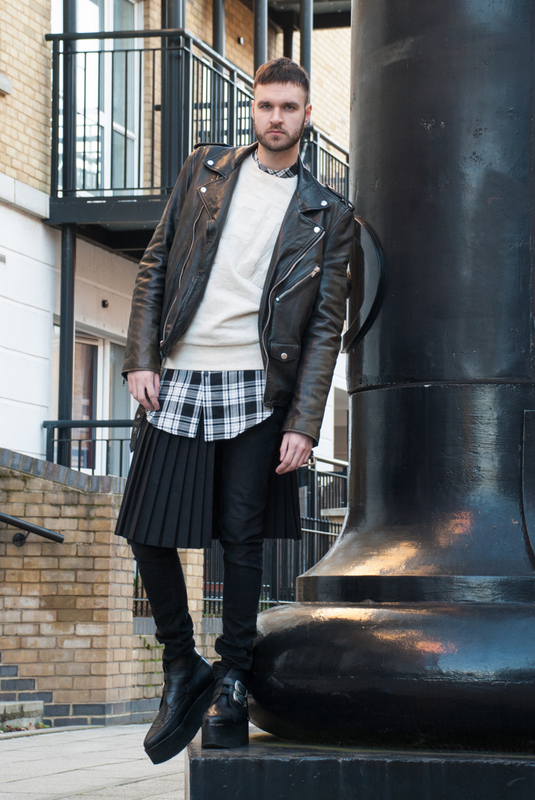 Do want to pull off a biker look or are you going on a bike ride? 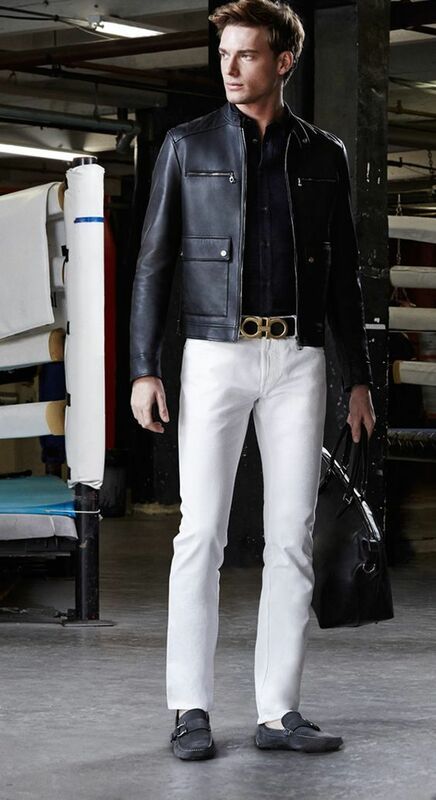 You can pair your biker jacket with a pair of men leather pants. While pulling off all the biker look, you are not only assured of your safety while on a bike ride but also, you get a trendy and fashionable look to go with your biker jacket. If you have never thought of it, you can pull off your biker jacket when going for dinner. This is especially during the winter season when it is cold. Just pair your jacket with a cute white shirt, a bow tie and a more official pair of bottoms to go with. This look makes you classy, trendy and overall confident. With a biker jacket, you can rock it in a number of ways according to the color and the design of the jacket you have. Accessorizing what you wear with your jacket will depend on your level of creativity. There’s no limit of how far you can accessorize with a biker jacket. For more biker jackets, please go to Banggood.